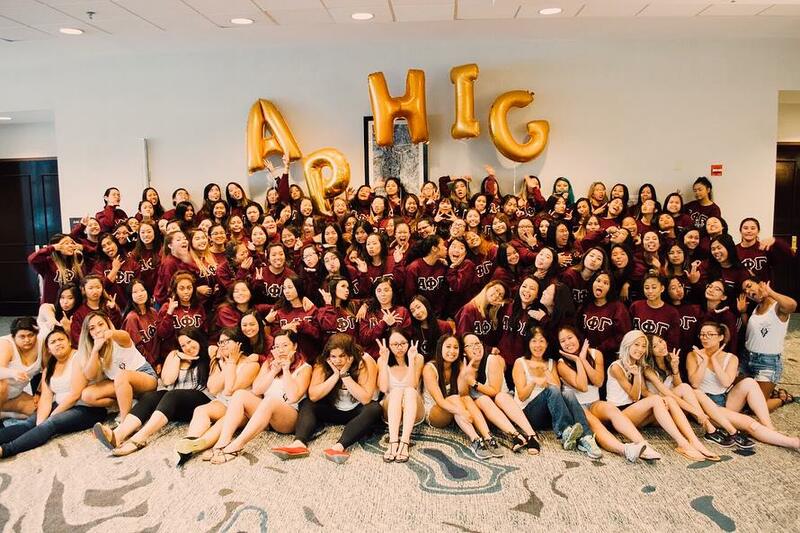 Alpha Phi Gamma’s 2019 Conference Announced! New year, new conference! 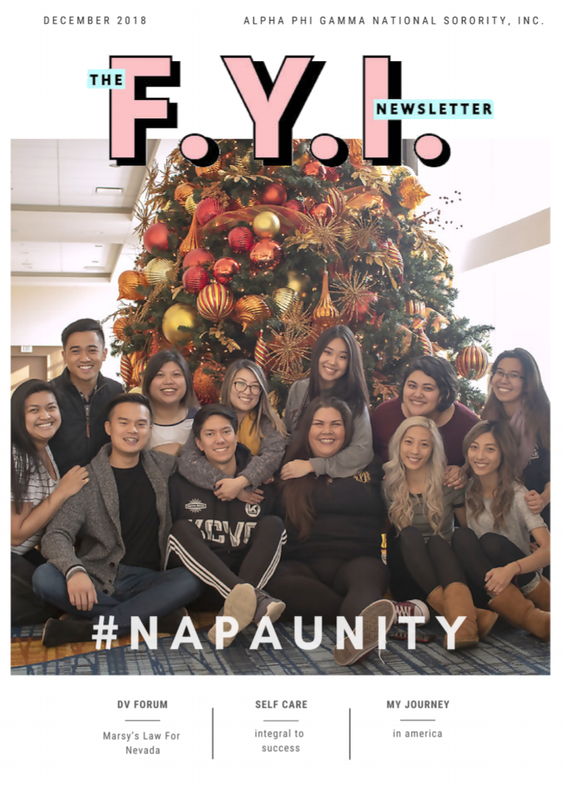 National Board is excited to announce that Alpha Phi Gamma’s 2019 conference will be held in Anaheim, CA! 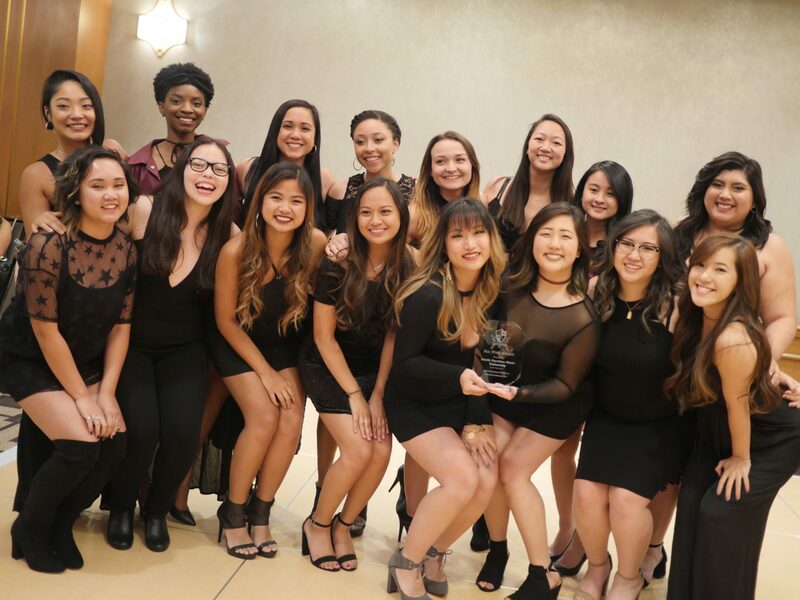 The Alpha Phi Gamma Educational Foundation raises funds and promote initiatives to help those who need it the most. Find out how you can donate to this amazing cause. 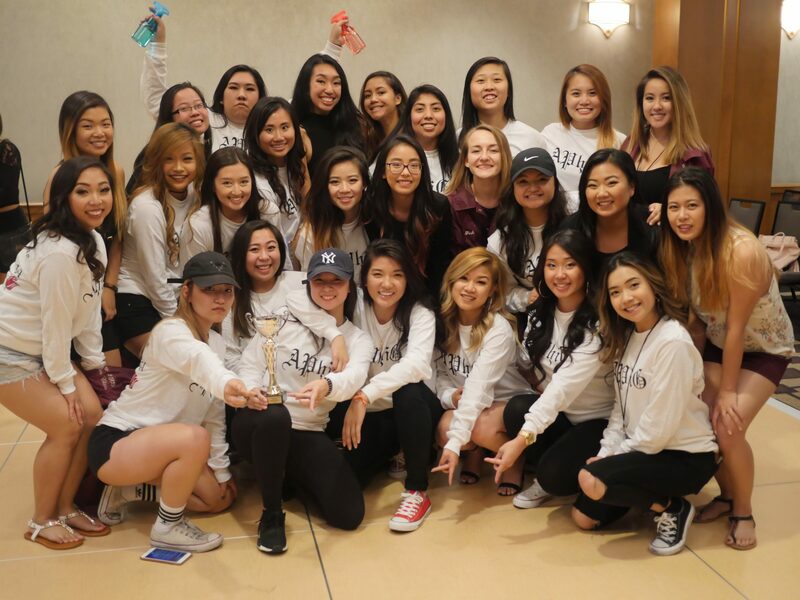 Want to learn more about Alpha Phi Gamma? 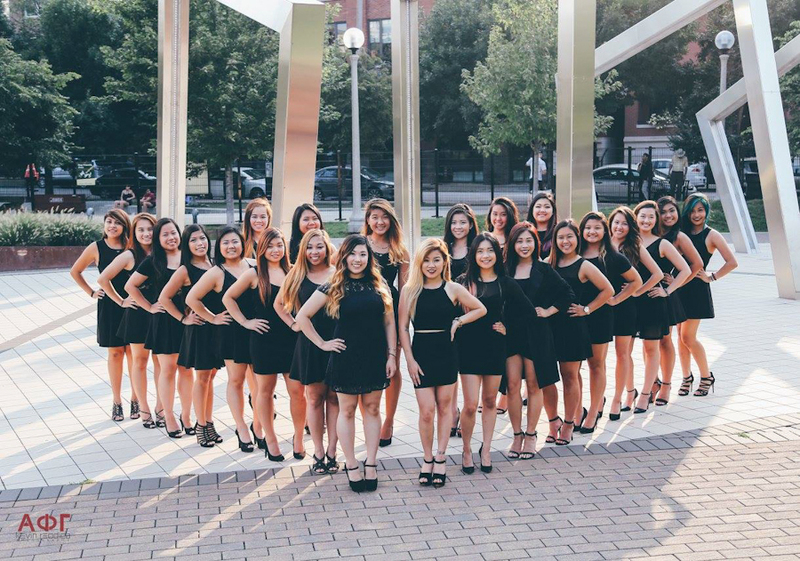 Read why Sisterhood, Philanthropy, and Academics is important to us. 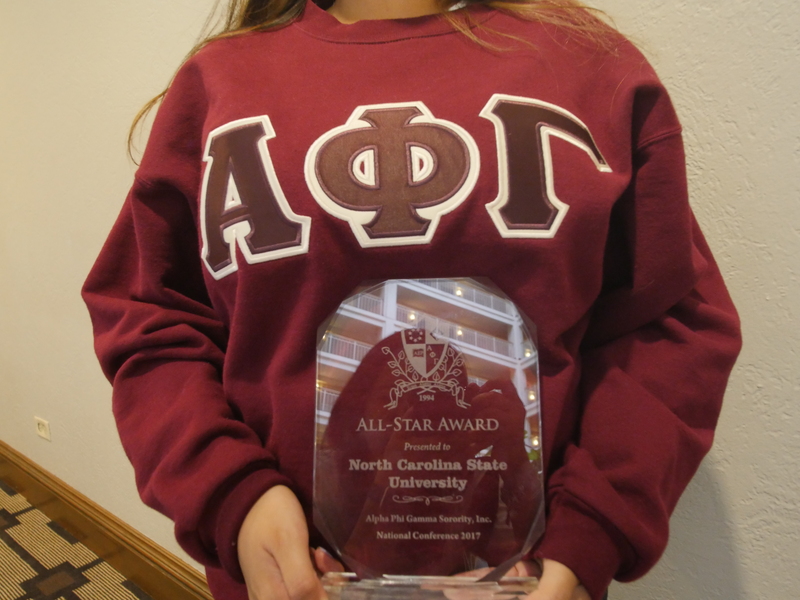 Interested In Bringing Alpha Phi Gamma To Your School? Do you want to be a sister of Alpha Phi Gamma? We are always looking for new sisters to join our sisterhood! Click to read more if you’re interested. Check Out Our Monthly F.Y.I. Newsletter! Our F.Y.I Newsletter is a monthly publication dedicated to bringing awareness of our sisters’ achievements and sisterhood nominations. In our newsletter, you can find all kinds of different articles to read! 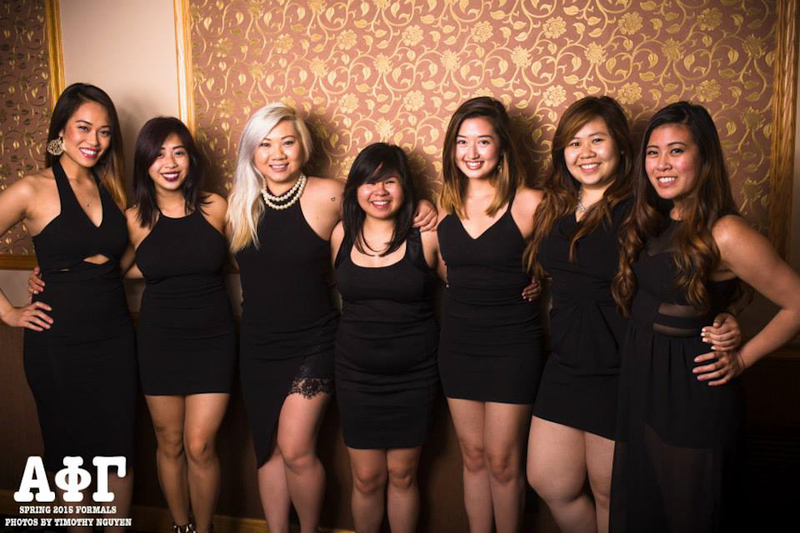 To bring together all women of different nationalities through bonds of friendship and sisterhood. 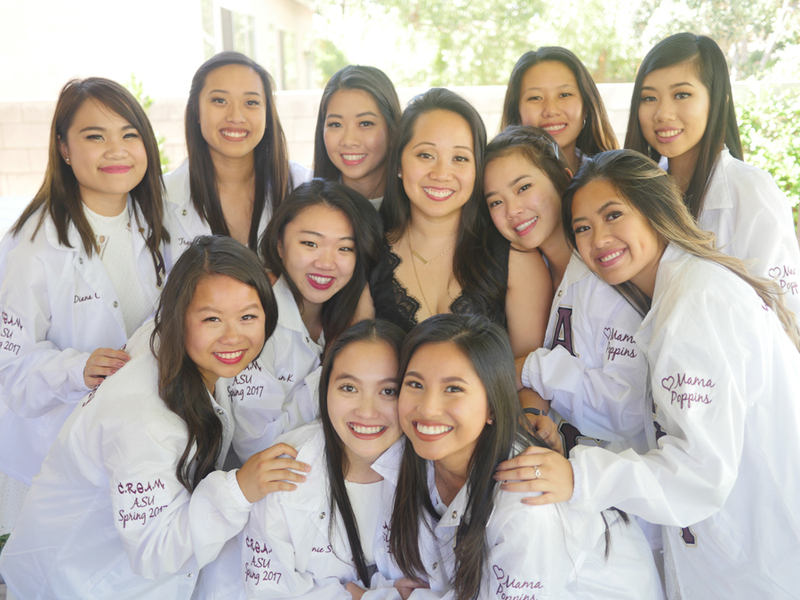 Alpha Phi Gamma exists to provide service and Asian Awareness to the University and the surrounding communities for the betterment of society. It promotes Scholarship and academic excellence, personal development and leadership. 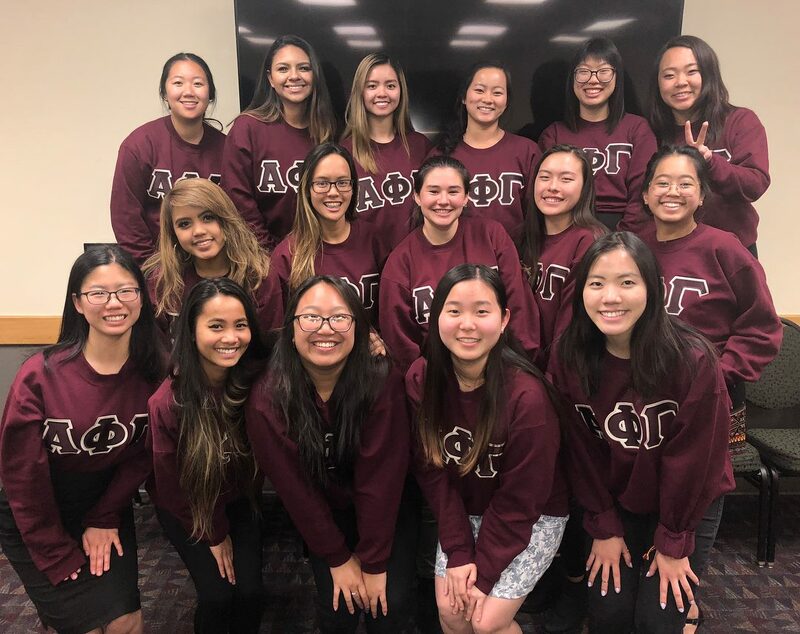 On February 1st, 1994, Alpha Phi Gamma became the first Asian American Interest Sorority on the campus of California State Polytechnic University, Pomona. The 7 founding sisters wanted to bring together all women of different nationalities through the bonds of friendship and sisterhood. 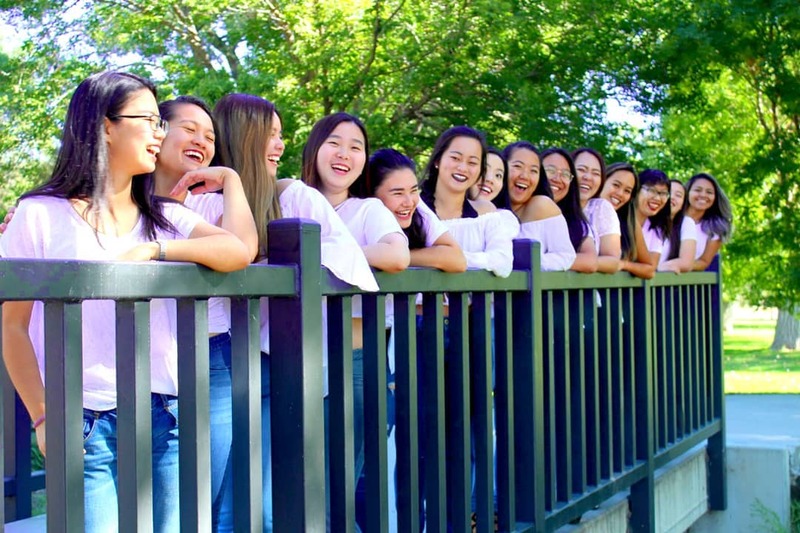 Since 1994, Alpha Phi Gamma has establishments in California, Illinois, Arizona, Michigan, Missouri, Colorado, Nevada, Minnesota, North Carolina, New York, and Kansas. 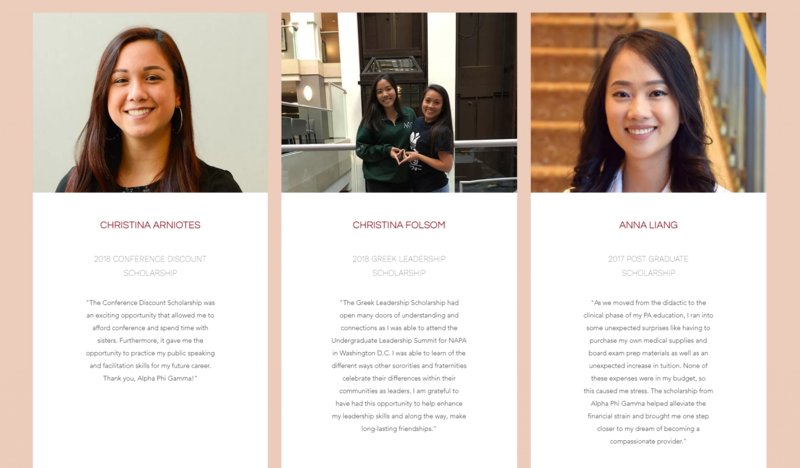 As we continue to grow our Sisters will continue to uphold the values and bonds of our Sisterhood all women of different nationalities, in our communities and universities.